Fantastic opportunity to rent this light industrial/Commercial site conveniently located just off the High Street and suitable for a variety of uses including building, construction and storage. 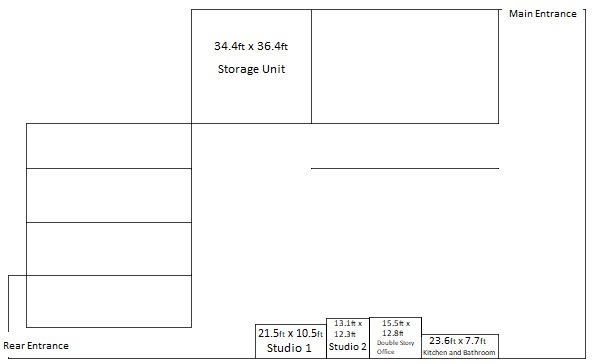 Consisting of a double story office block, three self contained studios and several large storage units all located around a central yard area with parking for about 15 cars. The site spans 1100 square feet approximately with an option to install security gates. The site can be accessed from Station Road or Belgrave Road. Available to rent either on a short or medium term.